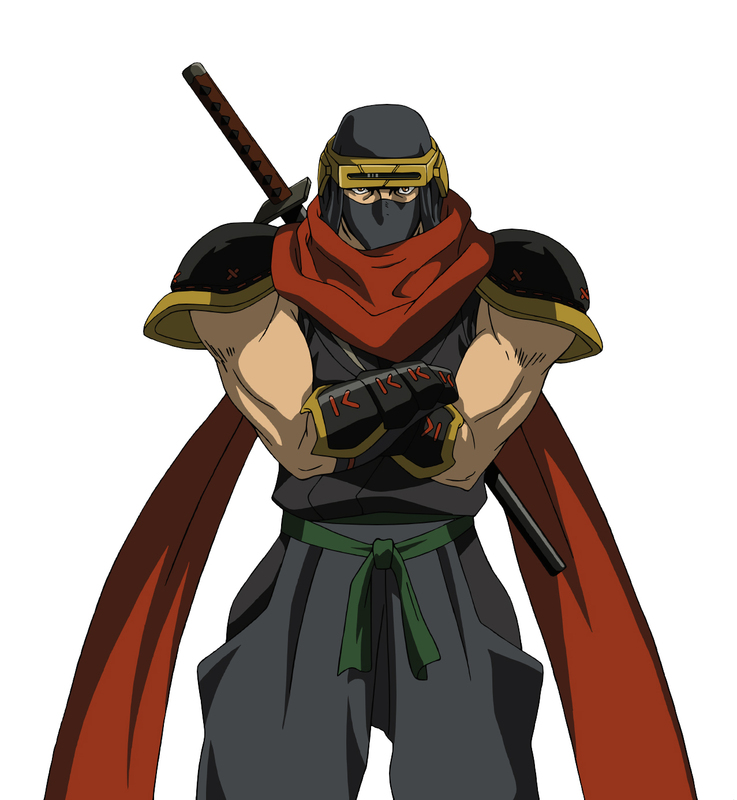 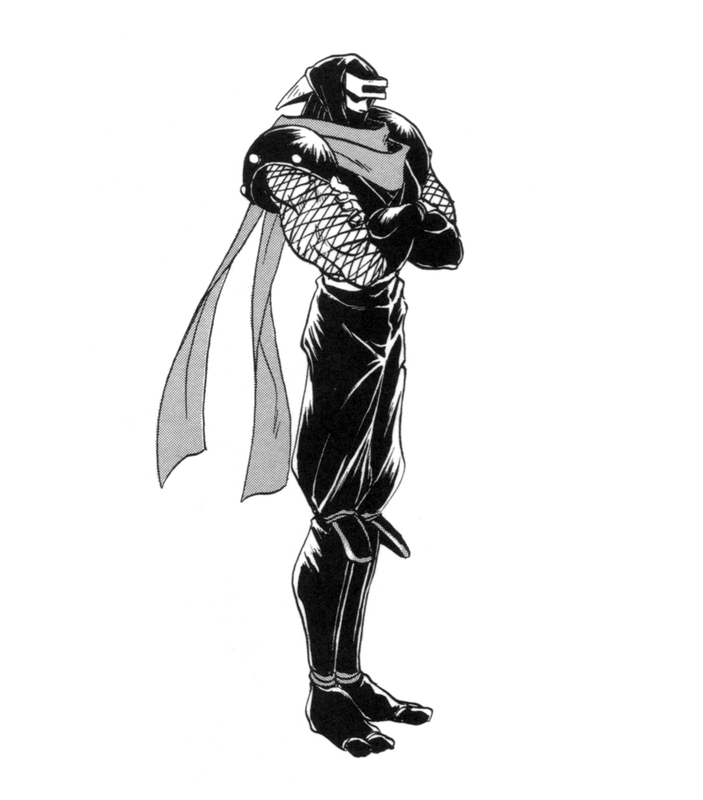 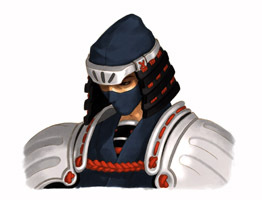 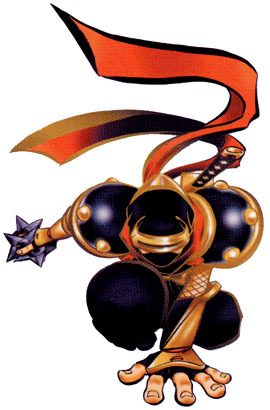 Hanzo Hattori is a legendary ninja and the leader of the Iga ninja clan. 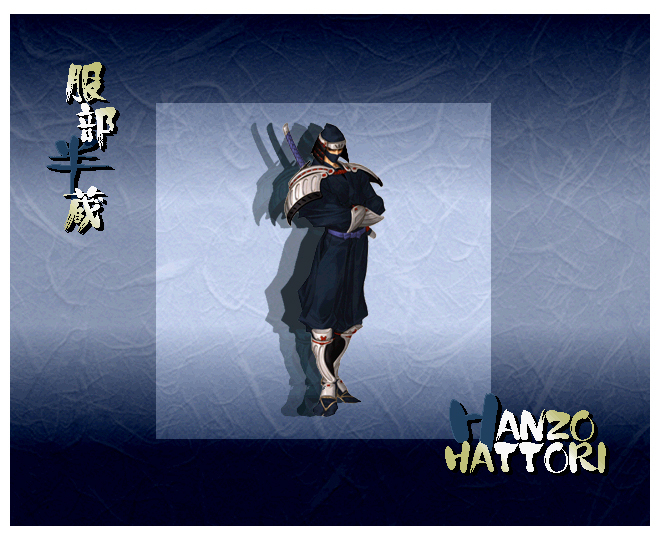 He has two sons, Kanzo and Shinzo, one of which has been possessed by Amakusa. 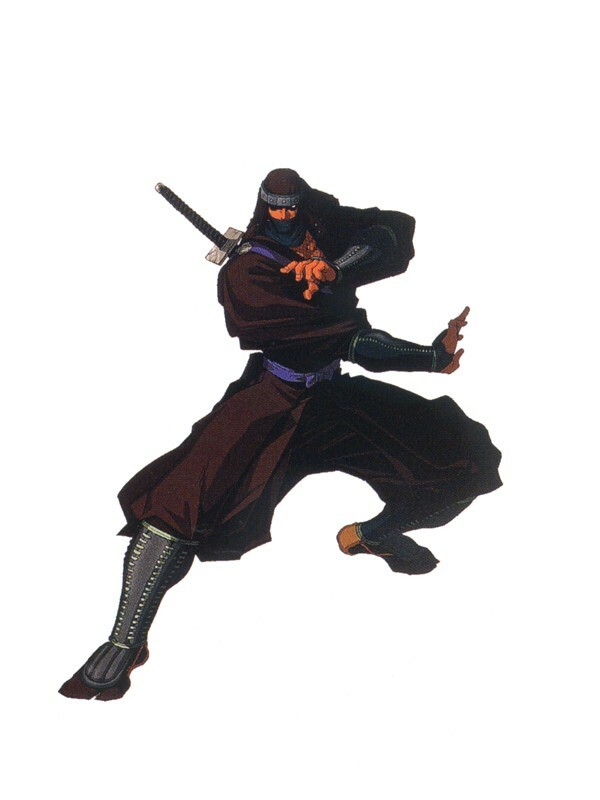 When it comes to the skills in Taijutsu, it is said his skills are un-matched. 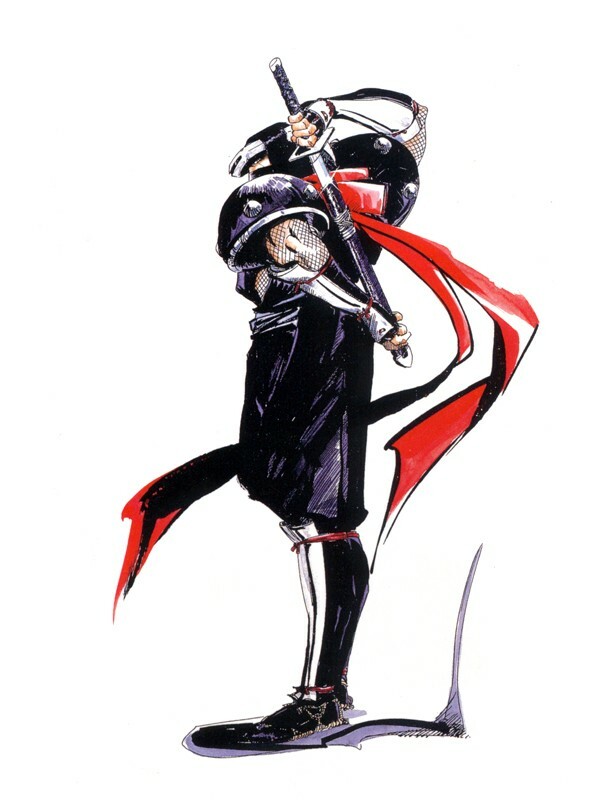 Although he never shows much emotion, he cares for his family very deeply. 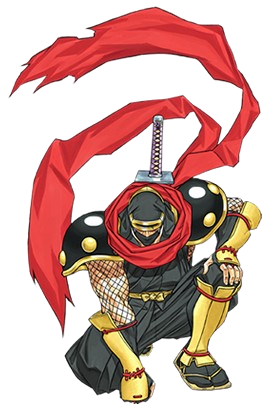 When Amakusa took over the body of his son Shinzo, he set out to rescue his son. 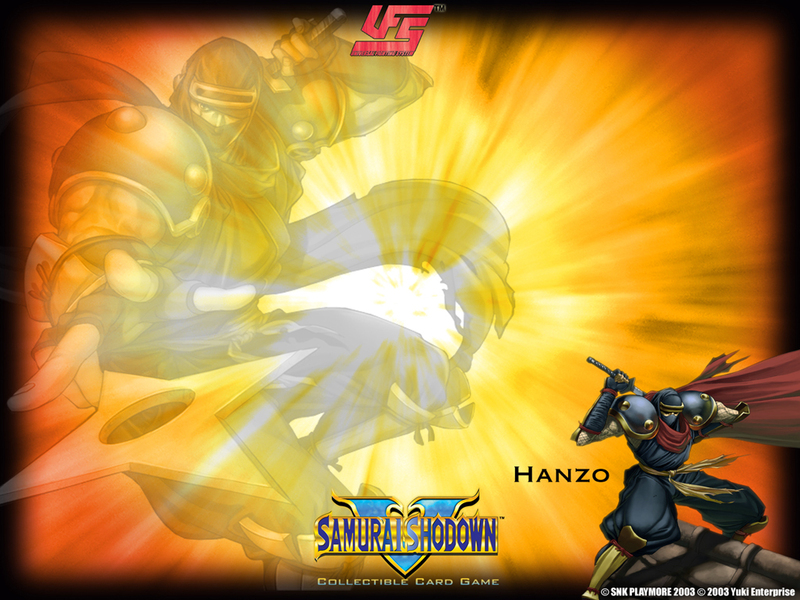 Although Amakusa was defeated at the hands of Haohmaru, Hanzo was not able to retake his son Shinzo. 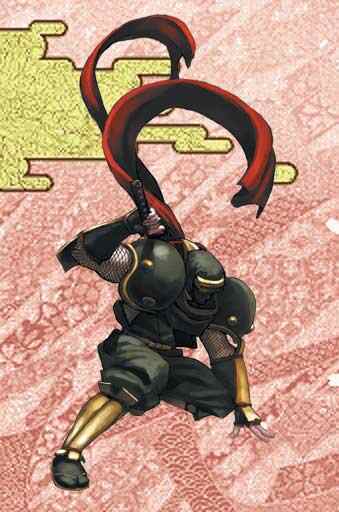 The following year, Amakusa's castle appeared again and he was ordered to destroy the castle to restore peace. 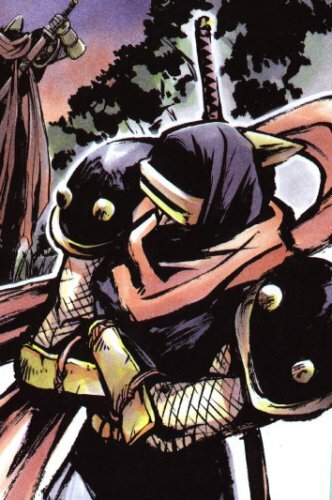 There, he found the body of his soulless son. 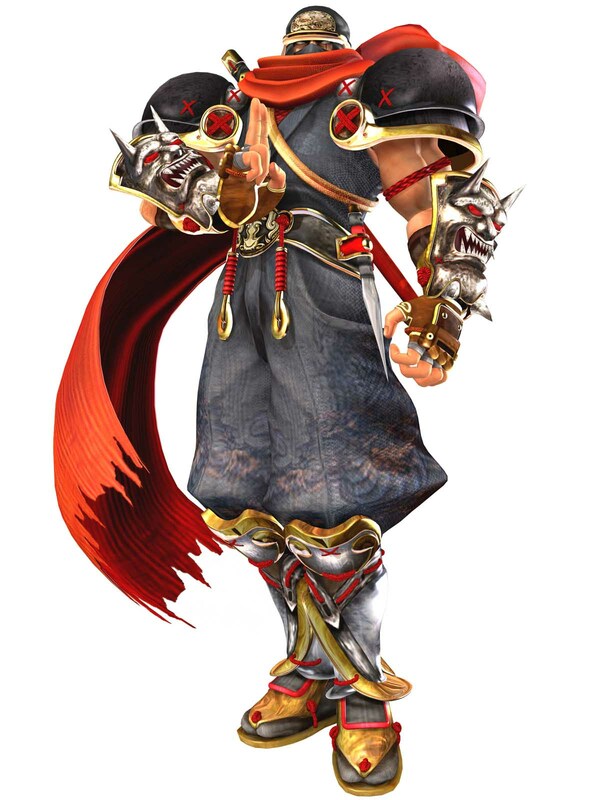 Although he was able to retrieve Shinzo's body, his soul was still lost in Makai. 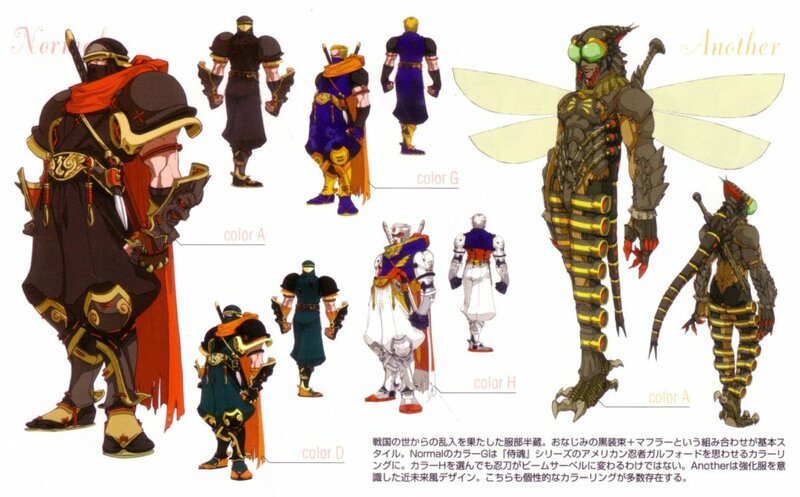 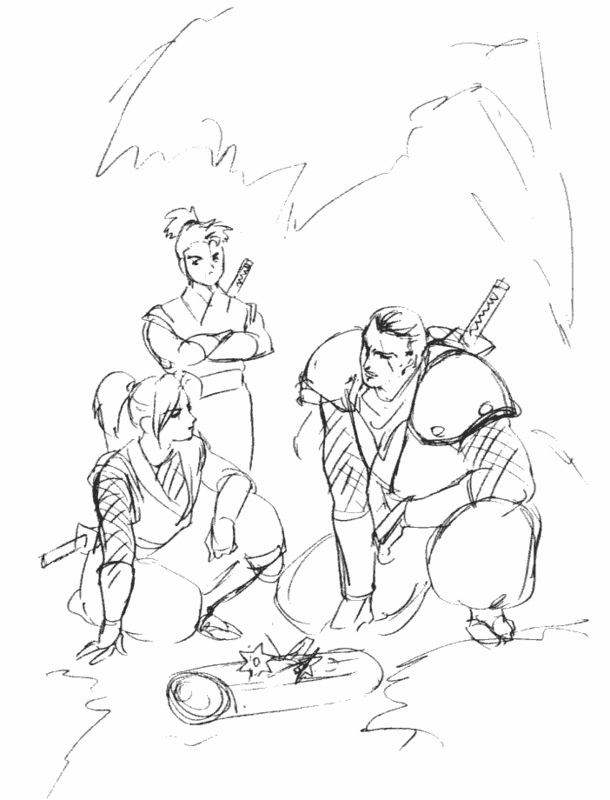 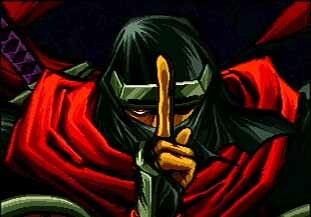 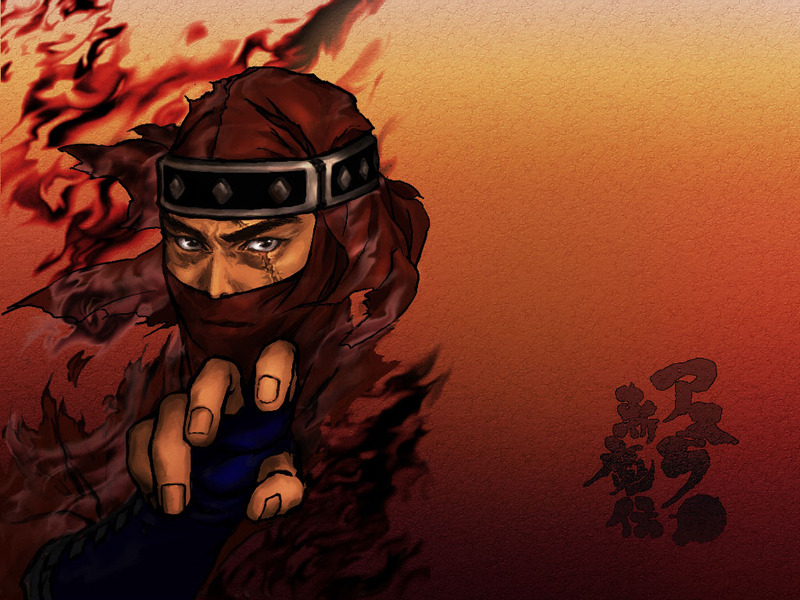 In order to free Shinzo's soul, he leaves his village to find and defeat the source of the evil. 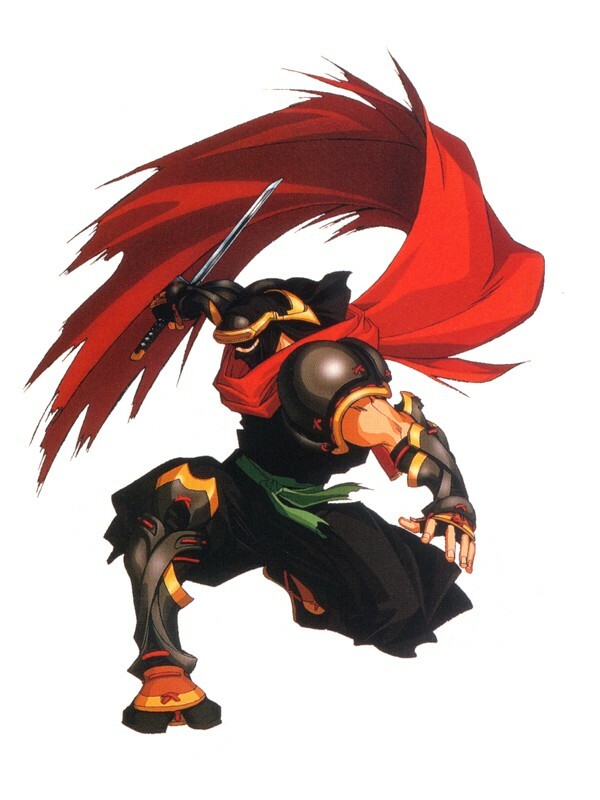 After Mizuki was defeated by Haohmaru, Shinzo's soul came back to its body. 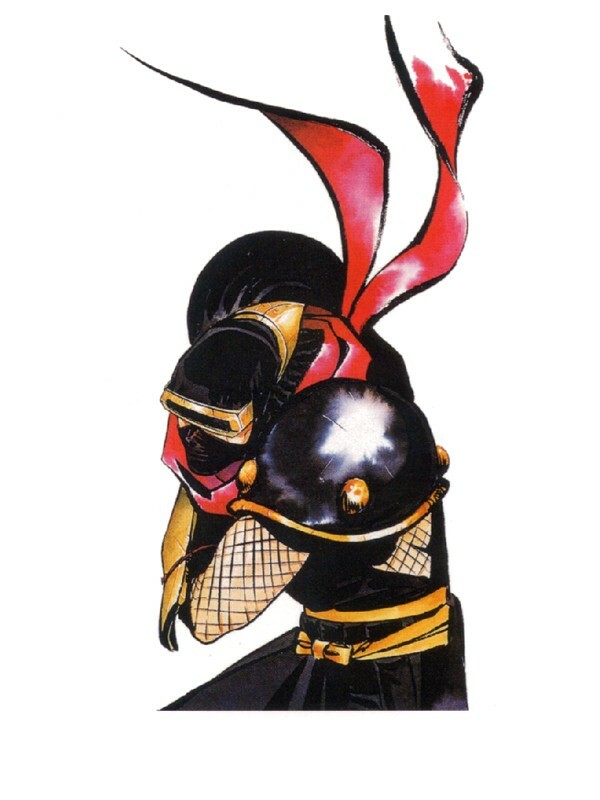 But because Shinzo's soul was weakened, his mother Kaede gave away her life to save him. 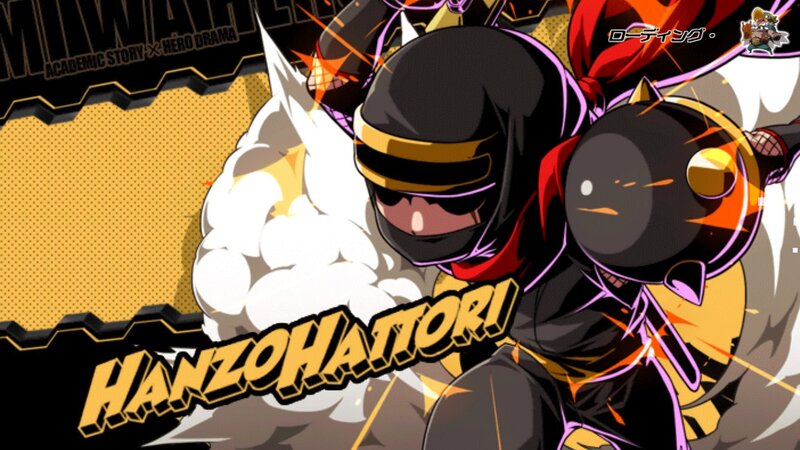 Hanzo was good friends with Zankuro before he became a demon. 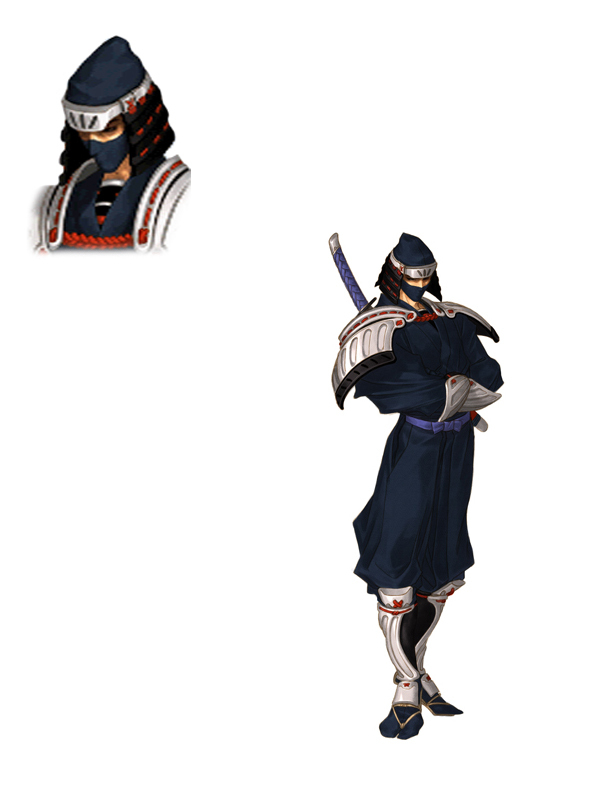 Hanzo is based on a real historical figure, Hattori Hanzo Masashige, the leader of the Iga ninja clan of Japan. 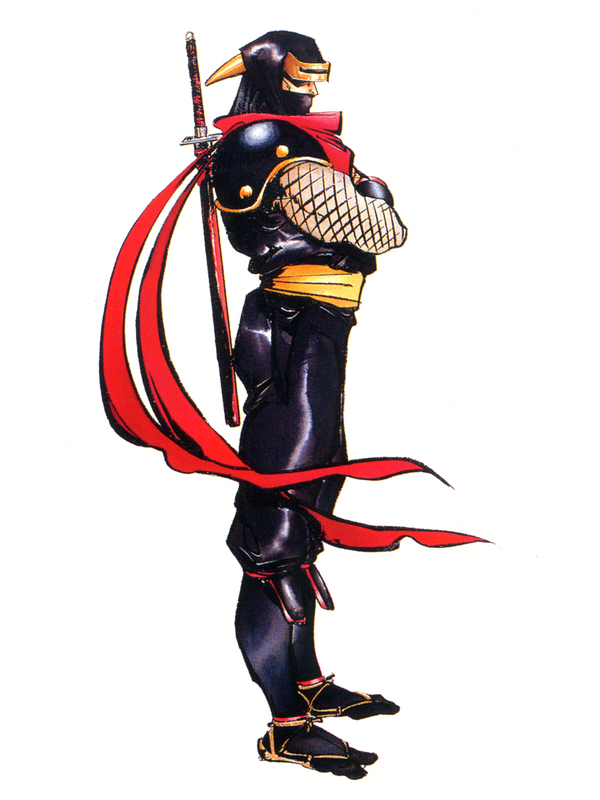 Fellow SNK character, Hanzou, is also based off of the same person. 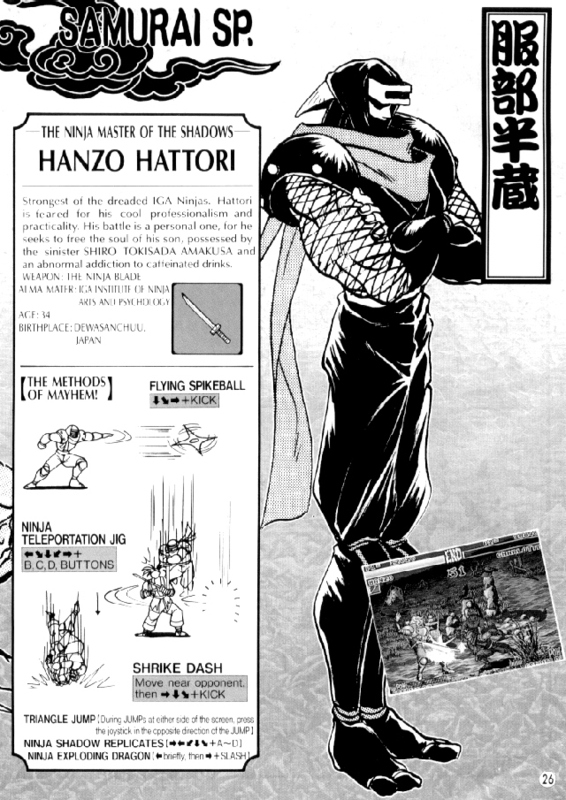 The name "Hattori Hanzo" also appeared in the 1980 movie Shadow Warriors, Makai Tensei, and 2003's Kill Bill. 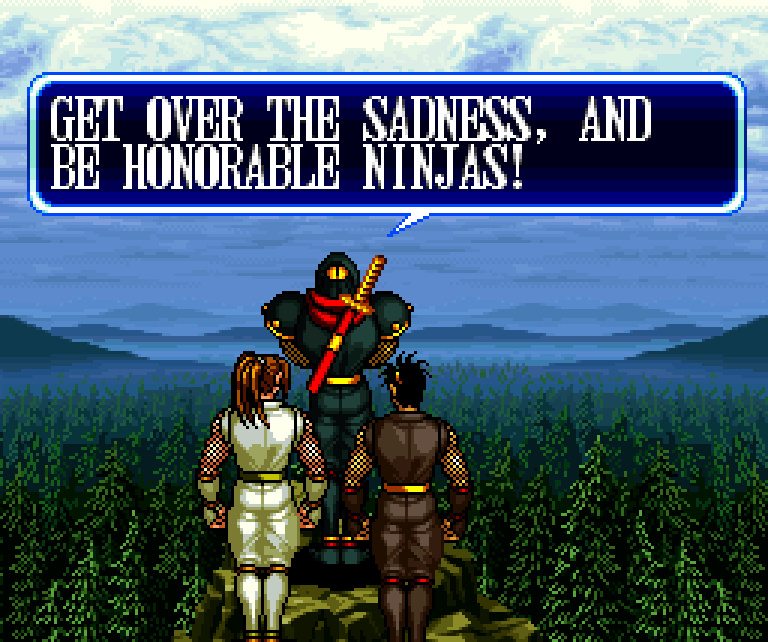 So, how many badass ninjas do you know of that have a twisted sense of humor like Hanzo? 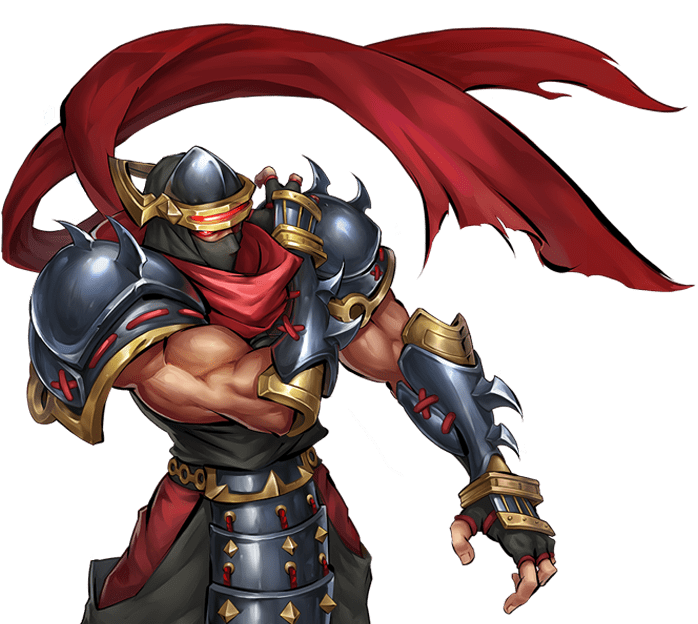 That's right, none! 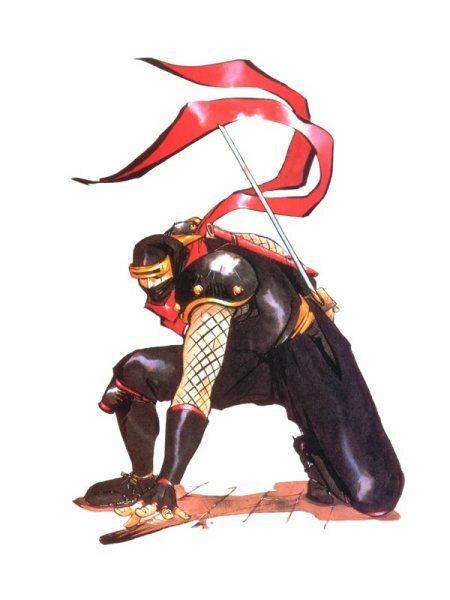 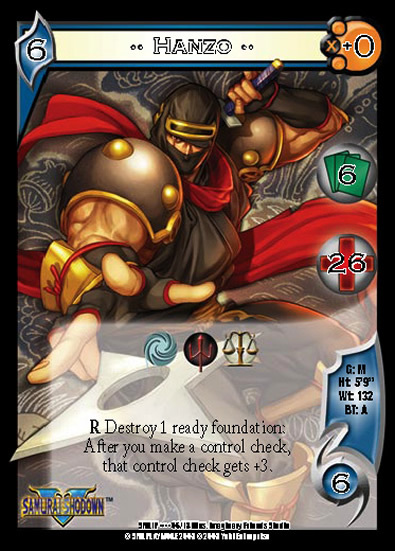 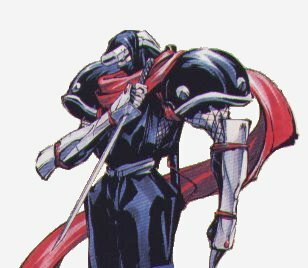 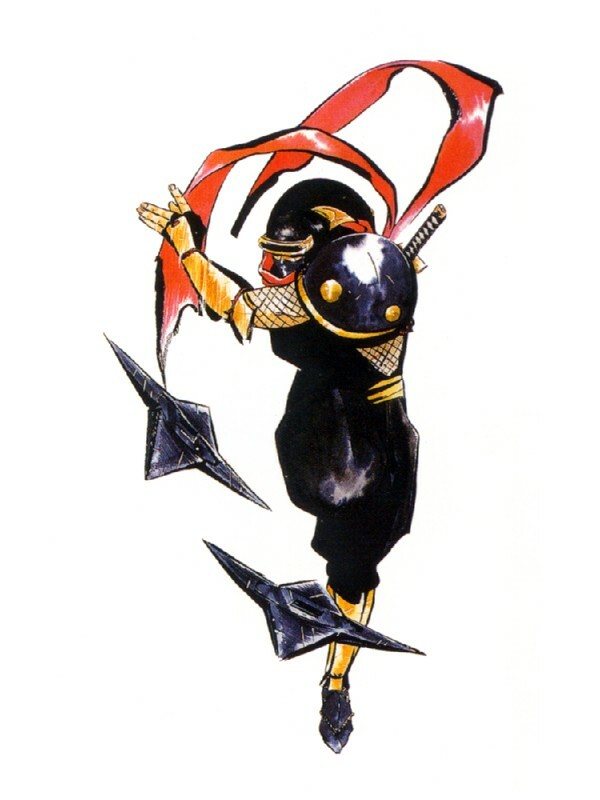 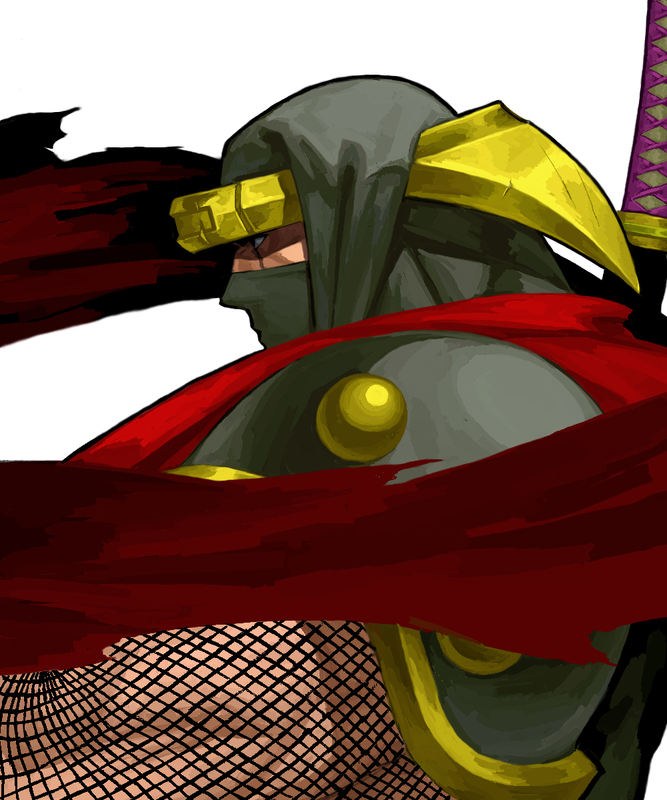 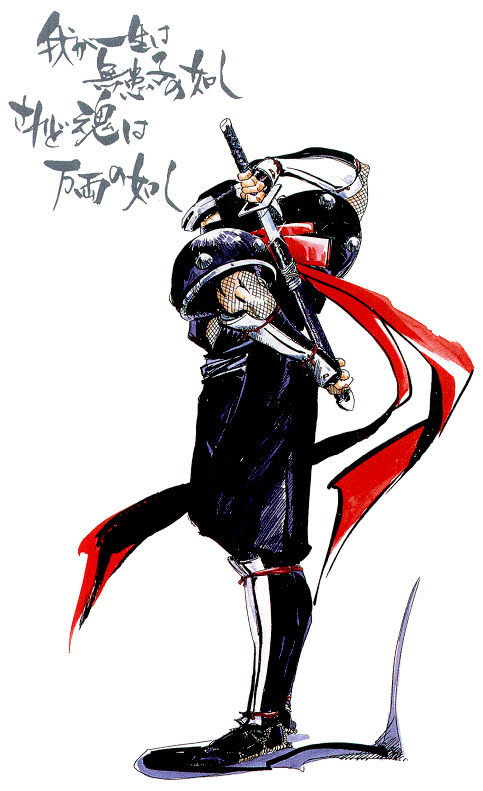 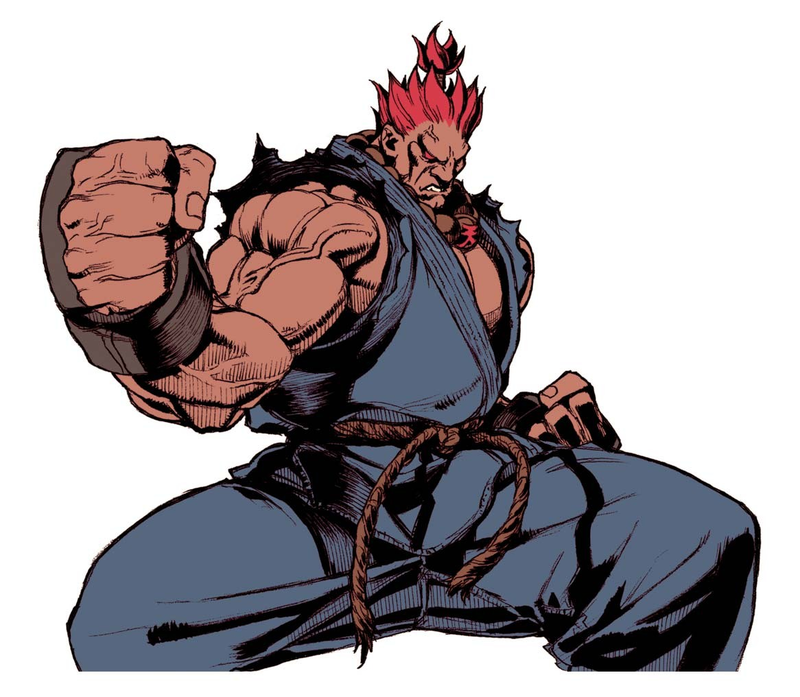 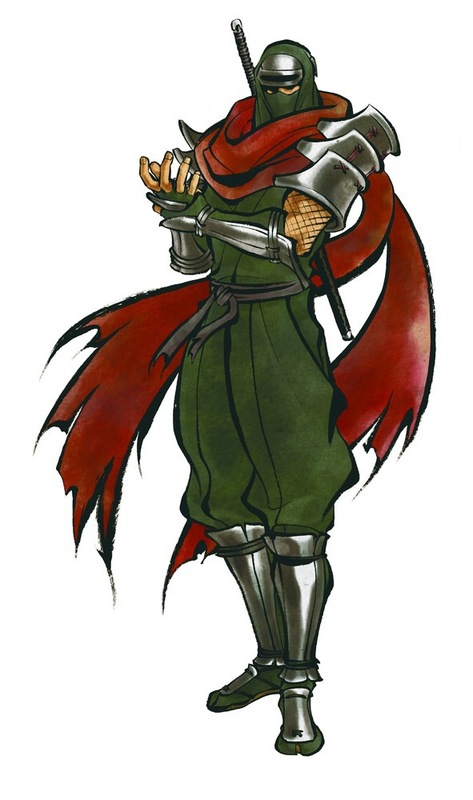 Aside from his cool personality, Hanzo's fighting style, although similar to Galford's, is very well done and also introduced innovative elements to the fighting genre.